Collaborative, also known as sharing, economy is known as practices and business models based on horizontal networks and participation of a community. The concept is pretty simple. Consumers are able to get what they need from each other instead of always going to large organizations. Everything from baby toys and wedding dresses to services such as web design work or swimming lessons. 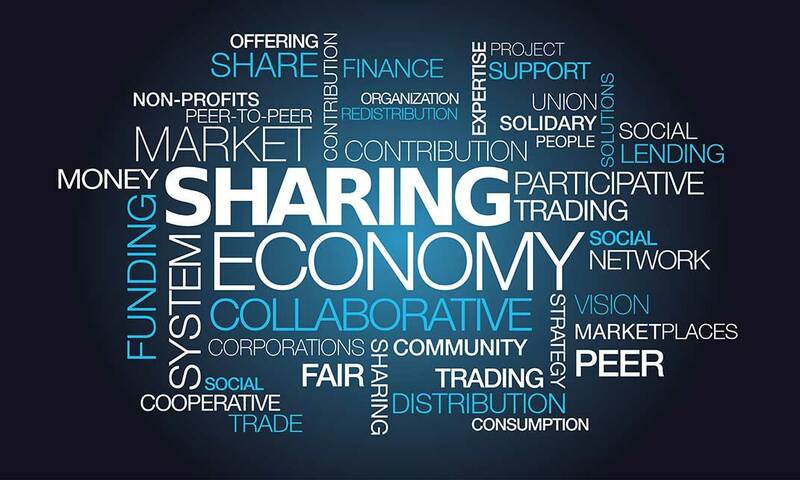 All eyes are on the sharing economy now. Why? The principle is why to pay a large amount of money for something which you can rent from a stranger for significantly smaller amount of money. Customers do this in every area – tourism, education, banking and finance, etc. Open knowledge enables anyone to freely use, reuse, and redistribute knowledge such as content, data, code or designs. This principle is the foundation of peer production as well as open education, open data and open governance. Open education services totally fit the definition of collaborative economy. Internet is full of free online courses in any subject. Not only this way of studying is convenient for adults, but children from Z generation also prefer it. MOOC stands for Massive Open Online Courses – a perfect example of collaborative economy. Probably you have noticed that the terms “sharing economy,” “peer economy,” “collaborative economy,” and “collaborative consumption” are being used synonymously. Still, there are differences that can hardly be noticed by people not familiar with the topic. CEEDS`15 by Webit will take place on 21-22 April in Sofia and could also fit the definition for collaborative economy, since you have the chance to get lots of new knowledge, to discuss ideas and propose your decisions. The time is now. Take advantage of the tickets with early bird prices of 100 EUR.